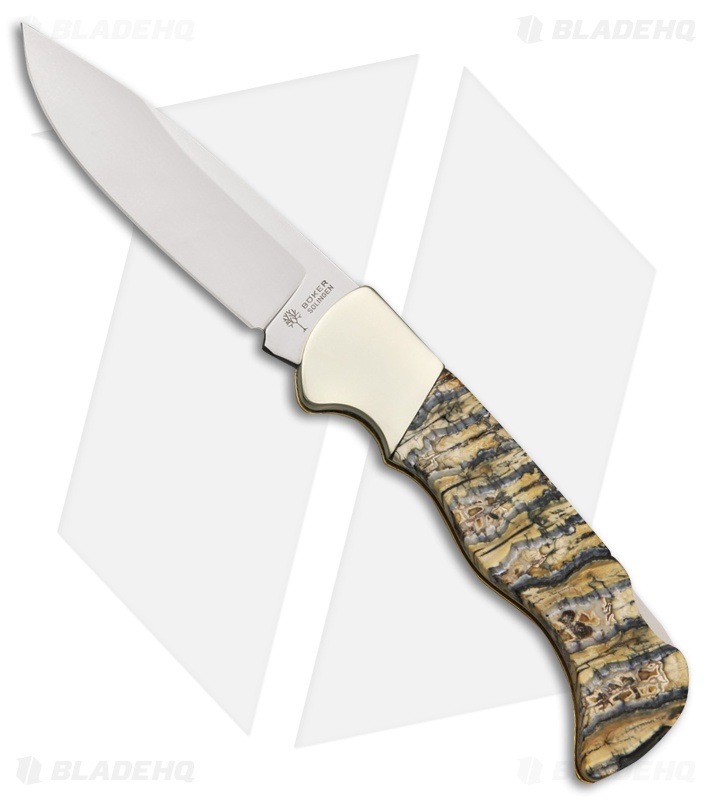 The Boker Mammoth 1 is the result of intricate handwork and high quality materials, perfect for any collection! Made of 440C German stainless steel with a classic drop point shape. The nickle silver bolsters provide an elegant transition to the contoured genuine mammoth tooth scales. Smooth and comfortable in hand, the Mammoth is a pleasure to hold. A sturdy lock back design ensures a secure lockup. Whether you're adding to a collection or looking for a gentleman's folder, the Mammoth 1 is sure to not disappoint. Includes Certificate of Authenticity and presentation box.